Recitals in Vienna and Maribor! 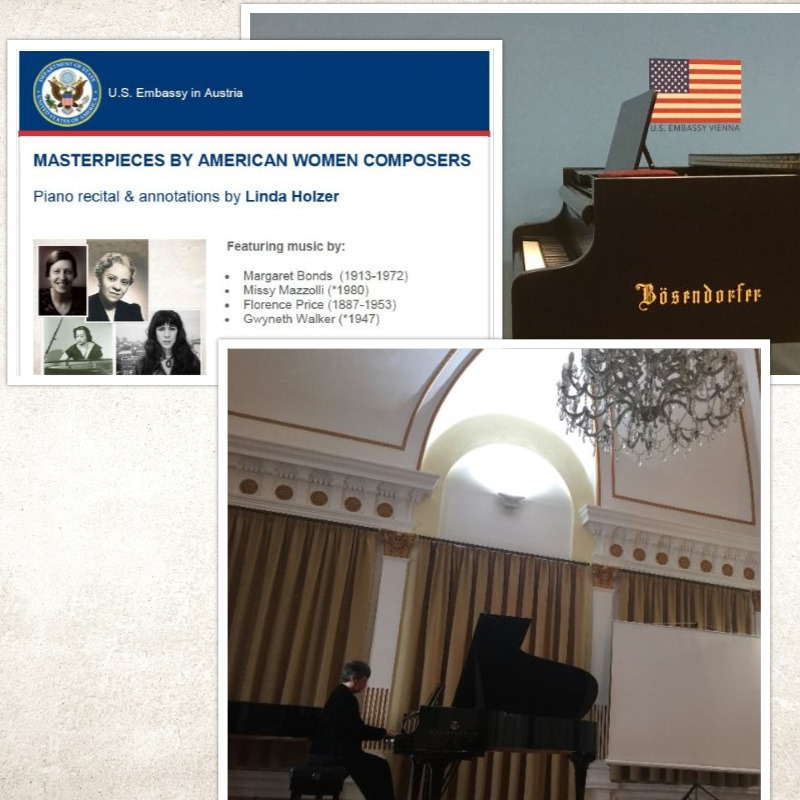 May 17 was a lovely evening to share “Masterpieces by American Women Composers” in the capital city of Austria. May 21 found us in Maribor, Slovenia, hosted by the Conservatory for Music & Ballet, and later, at Maribor University. A thrill to be able to reach new listeners, and meet new colleagues! Dr. Linda Holzer is the Professor of Music at UA Little Rock in Little Rock, Arkansas. She cultivates a multi-faceted career, emphasizing performance, teaching, interdisciplinary collaboration, and entrepreneurship.